here are many ways to film the same scene. The director’s decisions depend on what experience they want the audience to have. Knowing what shot composition is and how to use it is vital to visual storytelling. Shot composition is more than arranging scene elements in a camera frame. It is an art that combines those elements to advance the story, reveal character and create emotion. Knowing the rules of shot composition and using them well can keep your audience engaged from beginning to end. Let’s examine how Director, Dan Gilroy, uses these basic rules in Nightcrawler, to keep the viewer connected to an otherwise, disconnected character. Let’s first dive a little deeper into some brief definitions. Before we learn the rules of shot composition, it might be better to understand what I mean by composition. Composition refers to the way elements of a scene are arranged in a camera frame. Shot composition refers to the arrangement of visual elements to convey an intended message. The first assessment should always be, "what am I trying to visualize?" What feeling, thematic message, or experience do I need to create to make my point clear and effectual. Once we have this essential context, we can use shot composition to arrange all of our scene elements in the best possible way to drive our intention home. Knowing how to arrange specific shots for specific reasons, will have a greater impact on the audience, keeping them engaged for longer. And engaging your audience is a requirement of filmmaking. But lasting engagement can be difficult when the film deals with unlikeable characters. Complicated protagonists, such as anti heroes, need framing and composition techniques to be relatable enough so the audience sticks around. 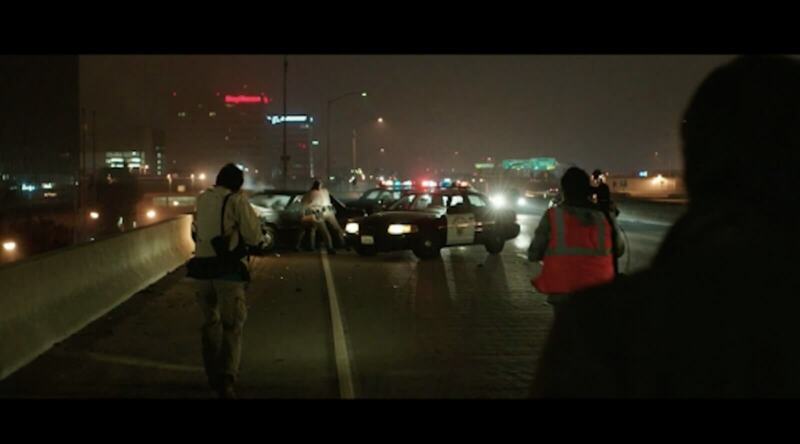 Shooting an anti-hero, like Lou Bloom in Nightcrawler, demands a deep knowledge of shot composition. Director Dan Gilroy uses these rules to engage the audience by making them feel several emotions at the same time. A hungry coyote, scavenging through the desert landscape. But there was initial fear that the audience might think of him as a psychopath, and write him off. Gilroy knew he needed the audience to connect to Lou on some level. So Gilroy crafted his direction and visual composition techniques to curb the viewer's suspicions and keep him relatable, while also developing an alienated, narcissistic protagonist. Let's dive in to some of the rules of shot composition to see how he did this. We'll start with positioning techniques as a way to track our character's relation to the rest of the world. 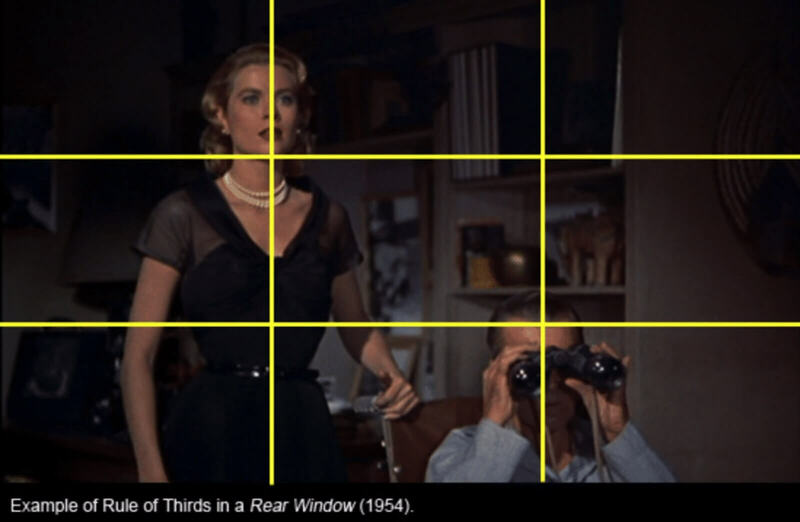 Firstly, the rule of thirds is one of the most common camera framing techniques used in film or photography. It's about positioning a character to show their relation to other elements in the scene. Imagine a tic-tac-toe board–two lines running vertical, and two more running horizontal. As the camera frames your shot, keep the image on the intersecting lines. It’s more pleasing to the eye. But also, different camera framing will tell a different story. It is an easy way to determine the character's place in the world. The frame composition in Nightcrawler is, well, crawling with this rule. Lou appears on the side of the frame, away from the world he exists in. Gilroy's use of the rule of thirds isolates Lou, highlighting this as the main theme. The rule of thirds can also be used with two characters. Remember to draw that imaginary tic-tac-toe board. Put a character on either side of the intersecting lines. Gilroy also uses this technique to show the darker side of the character. In many scenes, Lou is placed off center, with only the side of his face visible. It’s hard to trust someone we rarely ever see. The director's decisions to position Lou this way, showing only his profile, creates an untrustworthy, distant, character. Mastering frame composition and framing in film also allows you to break some of the rules of composition. Understanding frame composition rules is invaluable knowledge for a filmmaker. And so is knowing when to break them. 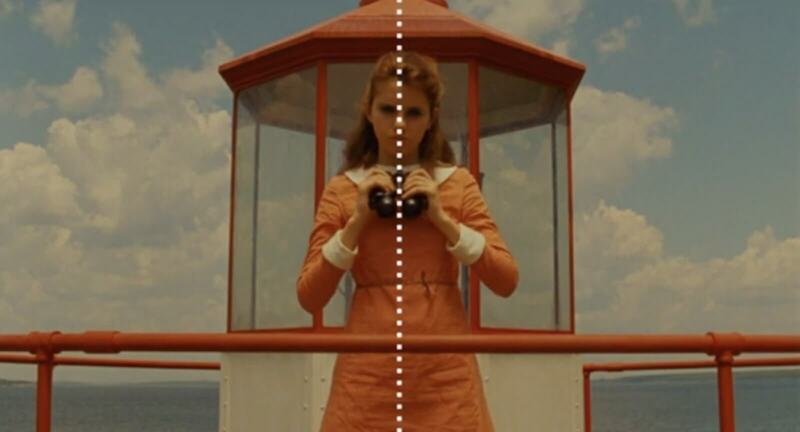 Shooting a perfectly symmetrical shot, breaking the rule of thirds, is used for very specific reasons. Dan Gilroy puts Lou in the center of the screen, ignoring the rule of thirds. We feel it. But why? Lou is the center of attention. Artists use this technique to direct the viewer’s eye to a specific place. And leading the eye to the center of the screen might end up serving your story better, and garner more emotion. Past films have done this well. Balance and symmetry in a shot can be very effective. They often reveal character traits and power dynamics. Or they create a place so perfectly symmetrical, the audience feels instantly overwhelmed. Wes Anderson and Stanley Kubrick films stand out the most. what is blocking in film? Blocking is the way the director moves actors in a scene to ensure dramatic effect, and to convey an intended message. An example of blocking is using a character's distance to the camera to highlight their relevance in a scene. Blocking the actor in a symmetrical shot can be a very effective way to lead the viewer to a certain feeling or emotion. Note that leading the eye of the viewer should be your priority in every scene you frame. Blocking often uses leading lines to control what the audience sees, and how they see it. This affects how they interpret it. Leading lines are actual lines (or sometimes imaginary ones) in a shot, that lead the eye to key elements in the scene. Artists use this technique to direct the viewer’s eye but they also use it to connect the character to essential objects, situations, or secondary subjects. Whatever your eye is being drawn to in a scene, leading lines probably have something to do with it. It is a very useful type of shot composition as it conveys essential context to the audience. Let's see how its used in Nightcrawler. A "stringer" is a newspaper correspondent not on the regular staff of a newspaper. One who works as freelance or on a part-time basis to report on events in a particular place. This stringer scenes use leading lines to take us to the accident. The diagonal line from Lou's feet to the back wheels of the police car, help frame the shot. It is a leading line that interestingly enough, also represents what his camera is able to capture. Lou framing both his and our shot. 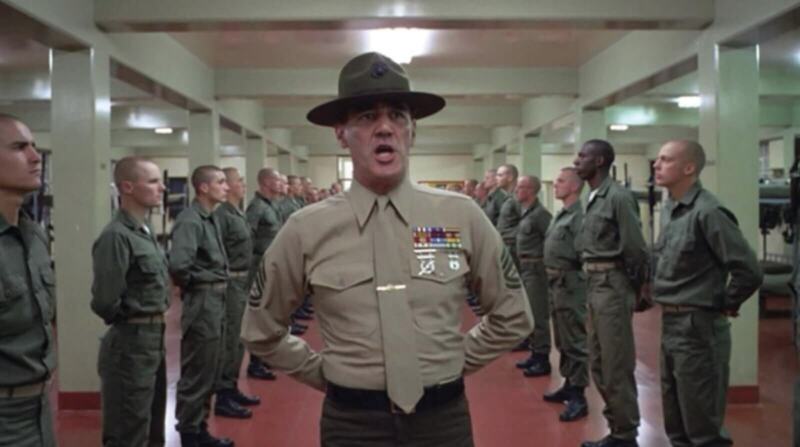 Another leading line is established by the character's movement. He is walking towards the accident with a camera, a straight line. Both the diagonal and straight line frame the crash as the focus. What's interesting is that his camera is also doing that inside of the scene. While this rule of composition helps lead us to our focus, other techniques help us connect to our focus. Eye-level framing in film positions the audience at eye-level with the characters. Eye-level framing plants the idea that we are equal with the character. Leading the eye and the mind to consider how we would feel if we were there, because it almost feels like we already are. Nightcrawler uses this technique at length to elicit empathy for the anti hero. No matter how Lou's character read on the page, what we saw on screen, was somebody just like us. This sense of connectedness is important when watching an anti hero. It makes room for empathy. An emotion needed to stay connected to a very flawed character. And so, we stick around for the ride. Just by showing the viewer the eye's of the character, the audience sees into their soul. It might not be a steadfast rule of shot composition, but it is an effective technique. A close-up on his eyes signals that Lou's state of mind and inner feelings are important right at that moment. It allows us to feel what he’s feeling. It is the easiest way to garner empathy. Now let’s zoom out of our camera frame, and see how our director uses basic video composition to show theme and Lou's sense of place in the world. To understand cinematography is to understand depth of field. 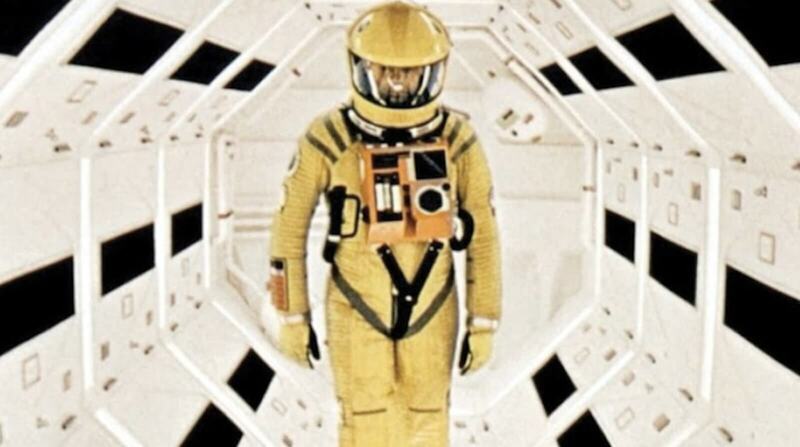 Mastering spacial composition in the frame is one of the hallmarks of effective visual storytelling. But before we learn how to manipulate depth to benefit our story, why don't we first define depth of field. What is the Depth of Field? Depth of field describes the size of the area in your image where objects appear acceptably sharp. That area is called the field, and the size of that area is the depth of that field. Depth of field is essentially your zone of sharpness. 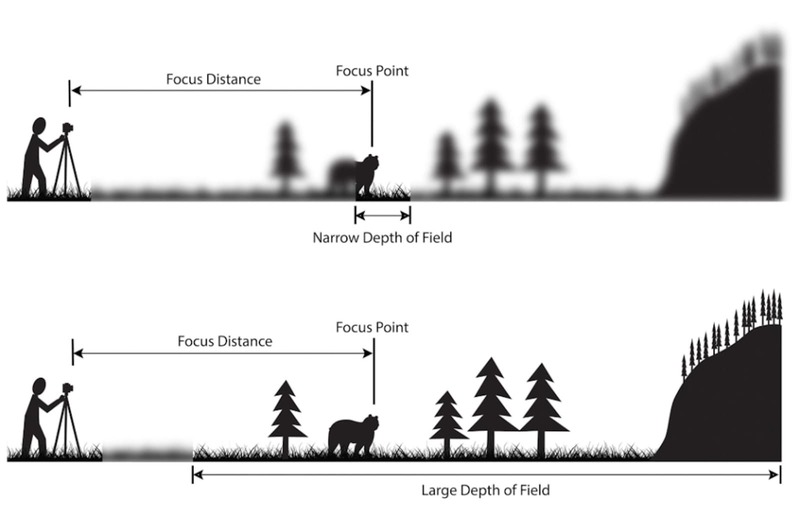 If you make that zone longer, bringing more objects into focus, you will have a larger depth of field. Similarly, if you make that zone shorter or smaller, with less in focus, you will have a shallow (or narrow) depth of field. Now that we know a little more about this, we can manipulate our depths of field to convey different feelings, tones, and relationships between objects. A rack focus in filmmaking is changing the focus during a shot. The term can refer to small or large changes of focus. If the focus is shallow, then the technique becomes more noticeable. One of my favorite ways to manipulate an image is to use rack focus. It changes focus right in the middle of a shot. 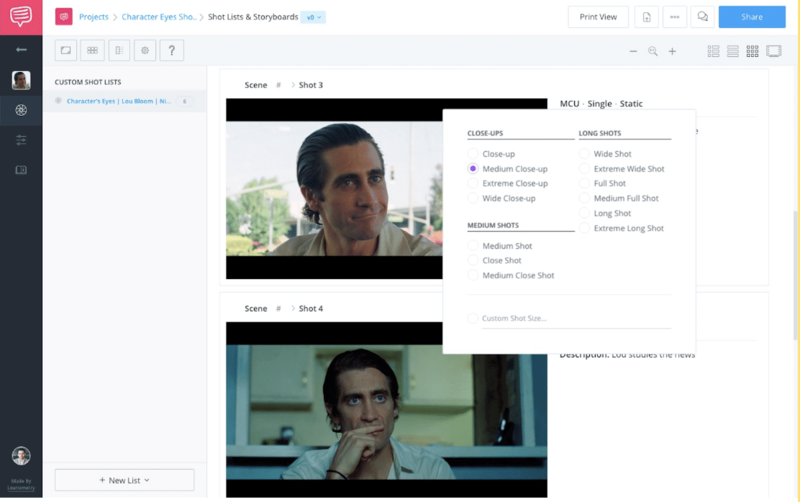 If the filmmaker starts off with a large depth of field, and in the same shot moves to a shallow one, the new focused element becomes the centerpiece for the scene. It dramatizes it just by switching the focus, manipulating the depth of field. Check out the video below to see this technique at work in Casino Royale. But shooting elements in focus isn't the only way to tell your story. Shooting out of focus can be just as powerful. 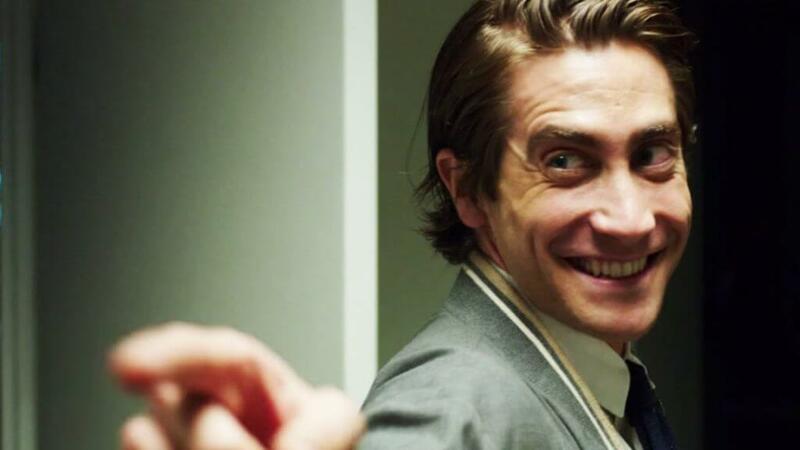 We'll see in Nightcrawler how the director uses blurring to illustrate his themes. In photography, bokeh (/ˈboʊkeɪ/ BOH-kay; Japanese: [boke]) is the aesthetic quality of the blur produced in the out-of-focus parts of an image produced by a lens. Bokeh has been defined as "the way the lens renders out-of-focus points of light". Bokeh is the circular blurring produced from out of focus images. 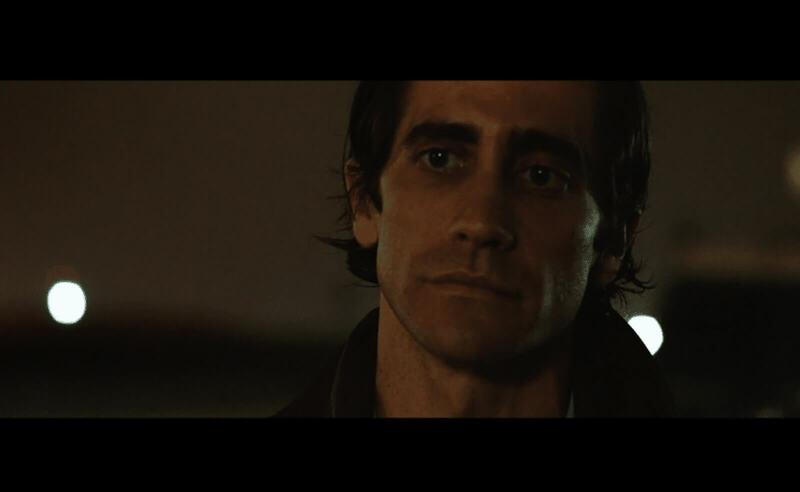 A huge theme in Nightcrawler is isolation. To show this, Gilroy uses rules of shot composition well with Bokeh. This kind of shot helps distance Lou from the world around him. He is connected only to himself. The director also, keeps people out of focus. This technique is used to reveal more about Lou’s alienation from society. Everyone but Lou is blurry. They’re technically in his world, but they feel very far away. His isolation is palpable throughout the film thanks to intentional camera frames and basic video composition tips. Because there are so many nuances in shot composition, it's sometimes hard to keep track of all these techniques. I felt it best to create a separate section for deep space composition apart from depth of field. We will define deep space, as well as something called deep focus, and determine how they all relate to each other. We then will examine how they often work together to capture intentional, (and incredible), moments in film. What is deep space composition? Filmmakers use deep space when significant elements in a scene are positioned both near and far from the camera. These elements do not have to be in focus. Unlike, deep focus, defined by elements both near and far from the camera in focus. Staging in deep space is the opposite of staging in shallow space. Citizen Kane's famous deep focus scene is still one of the best examples of how knowing the rules of shot composition can help you tell a deeply personal story. In this scene, deep space composition positions the characters at different depths, while all four stay in focus. The different depths are indicative of what is going on with each character. The little boy appears far away, but in frame, to remind us that he is going to be out of the picture soon, once they send him away. While Citizen Kane uses depth composition techniques to tell its story, Nightcrawler, does the same, with a heavy focus on character relations. With Lou positioned far from the camera and Nina stationed a bit closer, we see deep space at work. This separation from each other highlights their different personalities. One has pure motives. The other...not so much. With a large depth of field we also see that the TVs are lit up, and in focus. Revealing Lou's priority is television, or his job. Mastering depth of field is only possible with a complete understanding of it. Learn more from this ultimate guide to start creating incredibly dynamic shots. Dive deeper with practical examples.